1/4 lb. bag Powdered Plus Kava Root Reusable Muslin Extraction Bag 2 oz Instant Cocoa Kava Mix (6) 30% Kavalactone Capsules 10% Coupon on your next order. 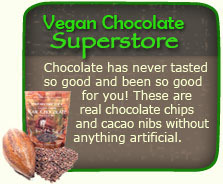 TRY OUR NEW SHOPPING EXPERIENCE at KAVA.COM! We're committed to the goal of re-establishing our reputation as providing the highest quality kava, with the happiest chemotypes (including the coveted Mahakea cultivar of Kava when it's in stock), the best personalized Customer Service, and the widest range of products with reliable levels of Kavalactone in everything we offer. Our organic kava farm was nestled on the fertile volcanic slopes of Kona's Hualalai Mountain, famous for producing Hawaii's most sought after coffee. We offered an unmatched cultivar of certified organic-blended Kava (Piper methysticum) products, which you bought directly from the growers. We ship freshly-harvested root within 24 hours of harvesting to our Chicago manufacturing center, which is a hop, skip and a jump away from our Chicago fulfillment center, so you get Farm to Table Freshness that we feel is unsurpassed in the industry. 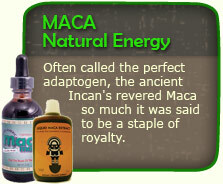 Our Kava Kava Root allows the ancient wisdom of Hawaii to come forth help restore balance to your life. The strength of Hawaiian and Vanuatu Noble kava kava suits the needs of extended and pleasant ceremonies that encourage and support sociability and the telling of long stories. 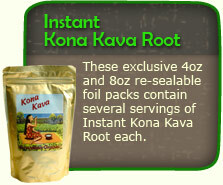 * And Kava root isn't all we have to offer here at Kona Kava Farm. 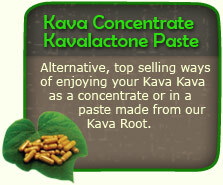 Look above and you will see a wide range of kava products to satisfy your palette and your curiosity. We do our best to take the bitterness out of Kava by not only sourcing the least bitter Kava Kava we can find, we then have that masterfully crafted into small-batch instant kava drinks and kava teas. Perhaps even better, and something we don't really advertise nearly as much as perhaps we should, is that 100% of our Kava products are manufactured in an FDA-compliant, GMP manufacturing facility. We have an in-house HPLC system to supplement our 3rd party Kava testing. We don't know of any other Kava company who goes to the effort and expense to only offer products that have to pass a rigorous series of tests before they can even be offered to the general marketplace. Even something as seemingly insignificant as our labels are vetted by our FDA consultants, who ensure that what the label say is in the product, is actually in the product. We do full biological, microbial, and metals testing on every raw material that comes through our door, to every product that goes out of any manufacturing facility we work with. Need to relax? Stressed out? Having difficulty sleeping? 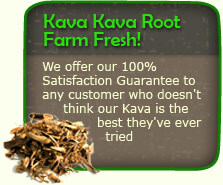 It would be our guess that you haven't tried Kava yet! We have loved this herbal supplement for many generations here at Kona Kava Farm, because it may help to manage everyday stress while supporting your overall sense of enjoyment and well-being. 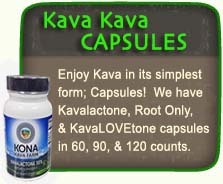 We feel that kava kava can be used to enhance your life, as a relaxed life may be a happier life. Kava kava roots are the secret behind this powerful supplement, and any of our Kava products are not only crafted with great care, we ensure that our products contain the most desired constituent, known as kavalactones. * We love 'awa; it isn't the "National Drink of Fiji" for nothing, and we take great pride in producing root-only kava kava for you!